Whilst the Concorde has captured hearts and minds as the world’s best supersonic passenger jet, it wasn’t actually the first to fly. That honor falls to the Russian competition, the Tupolev Tu-144. In the shadow of the space race of the 1960s, Russia, Europe and America were all trying to build the future of passenger travel. A plane that flew at 2,200 km per hour could beat the sun across the Atlantic, and would showcase which economical model was a success. We have already discussed in detail the American Boeing 2707 (which you can read here) and the Airbus Concorde, but not many people know about the Russian attempt. Russian aerospace firm Tupolev was asked by the Russian government to create five prototype models in 1963, within five years. Naturally, this tight deadline would have been fine if not for the fact that the engineers also had to work on two military jets at the same time (Specifically, the Tu-154 trijet and the Tu-22M supersonic bomber). Pressure from the top to beat the European attempt made the team force through some very odd design choices. Instead of going with solid fuselage like in the normal Concorde, the Tu-144 frame was actually constructed in ‘panels’. This ‘improvement’ actually resulted in deep cracks and problems under much lighter stress than designed. In fact, priority was placed on the nation’s pride rather than the actual design of the aircraft. The first version didn’t have functioning toilets, fire-control suppression system or brakes without a parachute. Additionally, the Russians only tested the aircraft for up to 800 hours. This is shockingly short compared to the 5,000 hours for each Concorde plane. “In the final days before the first test flight, it was very hard work. At one point, I didn’t leave the flight test base once for seven days. I was sometimes working shifts of up to 48 hours” – Yurii Kashtanov, a Soviet-era designer. But by the 31st of December, 1968, the first prototype took flight. This would beat the Concorde by two months. It would be a little unfair to compare the Tu-144 to the Concorde, as they could not be more different. Below is a simple chart with their main specifications. As we can see above, the Tu-144 was actually much faster than the Concorde and had a bigger range (only by 100 nmi, but back then it was a matter of pride). But when we say faster, we mean ‘faster’. The Tu-144 only achieved this speed by using afterburners the entire time. The Concorde actually reached cruise on its normal engines and did not require as much fuel by far. The Tu-144 also did not have any pilot aids or electronic controls. 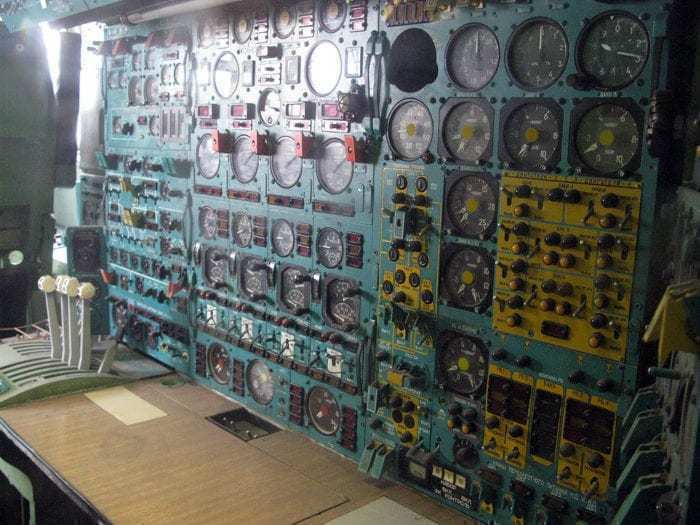 Unlike the cutting edge computers and controls of the Concorde, the Russians went old school. What is not mentioned are the passenger comforts. The Tu-144 had practically no insulation; there was so much vibration and teeth chattering that passengers had to pass notes to talk!. Whilst it could carry more passengers, only 11 actually sat in first class (compared to the all business configuration of a Concorde). Although it was not all bad for the Tu-144; if you were a crew member you actually had an ejection seat! One of the conspiracy theories that we came across in our research was that the Tu-144 was not only a rip off of the Concorde, but was developed from fake plans given to Russian spies that had several flaws. Apparently, the development team of the Concorde somehow knew that the Russians would be stealing the plans (remember these are not spies but engineers) and created duplicate plans with several flaws in the engines and airframes. Whether or not this is true we will leave up to you, but we like to think anything is possible during the Cold War era. The Tu-144 only ever flew one route, Moscow to Almaty once a week. The government had such little confidence in the aircraft that they did not report its successful flight until after the event. In the case of it breaking down or crashing, they would have simply forgotten to mention it. Tu-144-1 – The original prototype aircraft. Two were constructed. Tu-144-2 – Six production models that had passenger fit out. Tu-144D – Long-range variant. Production Tu-144 aircraft powered by Koliesov RD36-51 non-afterburning engines. One was converted from a Tu-144-2, five were built and one still remains unfinished on a factory floor somewhere. Tu-144DA – Unbuilt long-long-range version that would have larger fuel tanks. Would have flown 7,500 km. Tu-144LL – Flying laboratory version converted from a Tu-144-2. It was used by NASA and the Russian Space Agency for training purposes. Disaster struck at the 1973 Paris Airshow when the Tu-144 performed several maneuvers that they lacked permission for. The plane tried to pull too tight a dive and crashed, killing several people in their homes nearby and all the crew onboard. Rumor has it that the pilots were instructed to perform more daring maneuvers than the Concorde, who was exhibiting at the same event. Russia went on to say that a French military jet that was close behind, was actually trying to take photographs of the Tu-144. 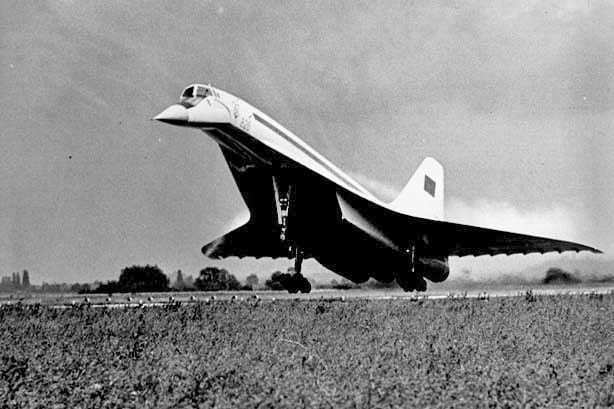 In 1977, Russia admitted that they needed help with several technologies in the Tu-144, and asked the British to install components from the Concorde. Britain refused, saying that these technologies (ranging from low tech to cutting edge) would be stolen to be used in fighter planes. Britain then released these conversations to the media, which damaged the Tu-144’s reputation beyond repair. The 14 Tu-144s were grounded after a plane crashed during a delivery run to Aeroflot, and never really flew outside of Russia commercially. It will forever be an example of political pressure trumping proper design patience and should be a lesson for those who might be facing the same situation. What do you think? Would you have flown in this aircraft?